The Lightning look like a machine this season. The Tampa Bay Lightning are the best team in the National Hockey League and aren’t showing any signs of slowing down. 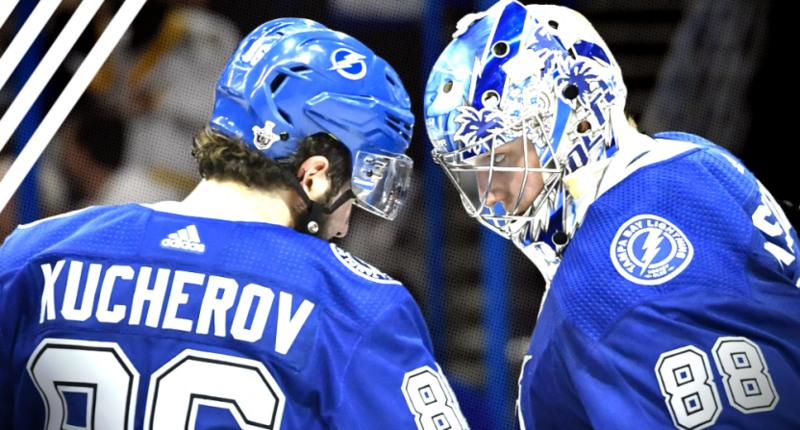 After leading the Eastern Conference in 2017-18, the Lightning came up just shy of making the Stanley Cup Final, getting bounced in seven games by the eventual Cup-winning Washington Capitals in the Eastern Conference Semifinals. This offseason, longtime general manager and team-builder Steve Yzerman surprisingly resigned from his post, leaving assistant Julien Brisebois to take over. Tampa didn’t add any marquee free agents or make any big splashes on the trade market. So how are the 35-9-2 Lightning even better than last year? First and foremost, the Lightning’s continuity is unparalleled across the league. Tampa Bay, specifically their forward core, is loaded with home-grown talent. The team’s five best players, centers Steven Stamkos (1st overall, 2008) and Brayden Point (79th overall, 2014), winger Nikita Kucherov (58th overall, 2011), defenseman Victor Hedman (2nd overall, 2009), and goalie Andrei Vasievskiy (19th overall, 2012) were all drafted and developed by the Lightning. Tampa Bay management excels at the draft. Their depth chart is loaded with players brought up through the organization. Kucherov is having a career-year, leading the NHL with 75 points in 46 games. That’s more points than Oilers center Connor McDavid (69), Calgary winger Johnny Gaudreau (69), and Avalanche center Nathan MacKinnon (66). He’s on pace to demolish Lightning scoring records and win the Art Ross Trophy. Alongside Kucherov is Point, a gifted goal scorer who has done nothing but fill the back of the net since breaking with the team in 2016-17. The 22-year-old scorer is on pace to crush his 32-goal output in 2017-18, already scoring 29 times in just 46 games. Meanwhile, a fully healthy Stamkos is scoring at an elite rate with 24 goals and 52 points in just 46 games. The Lightning have scored 189 times so far, 28 more goals than the Toronto Maple Leafs, who have the second-highest total in the NHL. Tampa Bay has also scored on nearly 30 percent of their power play opportunities, topping the league. Scoring four-plus goals per game is possible when you’ve got multiple stars at the top, but enough offensive depth throughout the lineup that’d make most teams envious. Guys like centers Tyler Johnson and J.T. Miller and wingers Ondrej Palat and Yanni Gourde are perfectly slotted as secondary scorers. On other teams, they might be asked to do too much. In Tampa Bay, their roles are clear and defined. On the defensive side, the Lightning are no slouches. While the forward core consists of drafted and developed players, Tampa’s defensive group, besides Hedman, is an interesting mix of acquisitions. Hedman, who won the 2018 James Norris Memorial Trophy as the league’s best d-man, remains a big-time minutes eater who can play in all situations. The 28-year-old Swede is a gifted two-way player. Ryan McDonagh, Hedman’s D-partner, isn’t an elite defenseman but is a great two-way rearguard, who’s a natural fit in a secondary, first-pair role. Filling up the rest of Tampa’s D-core are Anton Stralman (signed from New York in 2014), Erik Cernak (acquired in the 2017 Ben Bishop deal with LA), Mikhail Sergachev (acquired in the 2017 Jonathan Drouin deal with Montreal), and Dan Girardi (on a two-year deal from New York). Being proactive on the trade and free agent market allowed Lightning management to build the defense around the offense. Thus far, paired with the always steady goalie Andrei Vasilevskiy, Tampa Bay has allowed the seventh-fewest goals in all situations. In total, they’ve got a +56 goal differential, the best mark in the NHL. What places the Lightning ahead of competitors in the Eastern Conference is a glaring lack of weaknesses. They’ve dominated on both sides of the puck. The roster has few to no holes. The Toronto Maple Leafs’ defense is a mess and until its fixed, good luck beating Tampa. The fourth-place Boston Bruins lack scoring depth as their top forwards have contributed nearly all of their offensive output. Columbus’ two best players seemingly don’t want to play there. So, that leaves the defending Stanley Cup champion Capitals. Washington sits atop the Metropolitan Division with 59 points in 45 games. Once again, the team is led by Alex Ovechkin, who leads the NHL with 33 goals and is on pace for 60 despite being 33-years-old. The Caps lost head coach Barry Trotz this summer to the New York Islanders, but the main players from their Stanley Cup run, centers Nicklas Backstrom and Evgeny Kuznetsov, winger TJ Oshie, defenseman John Carlson and goalie Braden Holby are all still there. Like the Lightning, the Caps haven’t slowed down. On paper, Tampa Bay’s got the better team, but even with a 13-point lead, they shouldn’t feel safe. Beating the Caps in the playoffs is without question the biggest challenge for the Lightning. Barring a huge post-All-Star collapse, the Lightning will finish as the top team in the NHL. Being the cream of the crop is great, but playoff success is what ultimately matters. To win their first Stanley Cup since 2004, Tampa Bay will need to continue to bully teams in the playoffs and dethrone Washington. It’s a tall task, but with a team that looks this much better than the rest of the NHL, it’s more possible now than ever.